There’s more to enjoy this 2016 Tri-fest weekend than funnel cakes and swinging pirate ships… Take a look at the new and traditional musical entertainment that will be featured on Main Stage in Henderson’s Central Park throughout the Tri-Fest weekend. Five After Five features the rising talent of five Henderson County High School students John Abbott, Gage Johnson, Caige Hazelwood, Draven Skaggs, and Zakk Marks. They typically perform 90’s and early 2000’s rock as well as write some of their own music, and they are currently in the process of recording their first album. 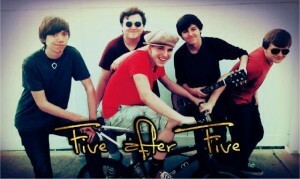 In the past year they’ve played at the Evansville Fall Festival, several school-sponsored events, and for the first time, will be performing at the Henderson Tri-Fest. Come hear the group’s variety of musical backgrounds Friday April 15 from 5:30-6:30. 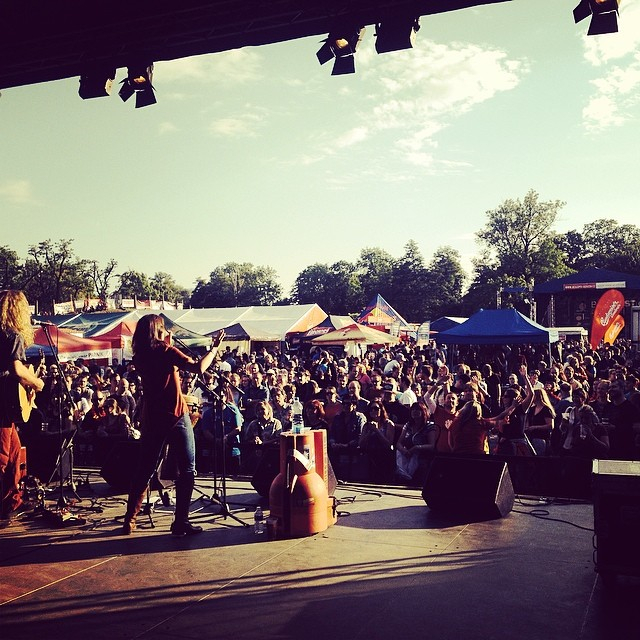 Kicking off their 2016 tour on Main Stage in Central Park, is revolutionary rock couple Heath & Molly. For the 5th year in a row husband and wife musicians Heath & Molly Eric will be performing right before Friday night’s fireworks show. 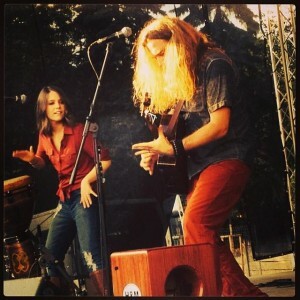 They blend vocals, acoustic guitars, and various percussion to create a homegrown and powerful roots music experience. The 2-piece band has plays on average over 100 shows a year in several regional and international locations including Europe and the ROMP Festival in Owensboro and the Kentucky Derby Fest in Louisville. You can sample some of their music on their Facebook page or on YouTube. To see other upcoming tour dates, visit their website here. 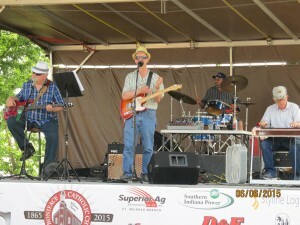 Back again for another Tri-Fest appearance is the Southern Indiana Country/Classic Rock group, The Sweet Water Band. Playing 50s & 60s Rock and Roll favorites, as well as Blues and Contemporary Counry. The SWB is composed of members Jed Guillaume, Bud Hall, Rick Mathias, and Bob Brown. You can check out The Sweet Water Band performing on Central Park Main Stage at 4:00 p.m. or visit their Facebook page at this link. Evansville’s Duke Boys are returning to Tri-Fest to perform Saturday night. 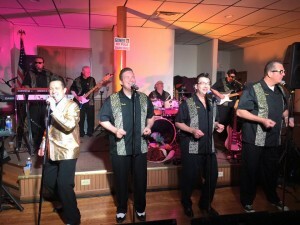 The Duke Boys specialize playing Rock and Roll favorites from the 50’s and 60’s.Band members are Dave (Gomer) Burke, Rickie (Trickie Rickie) Byrne, Galen (Woobie) Deig , Bob (Bobcat) Green, Dave (Doc) Matthews, Steve (Moe) Mohler , John (Hoot) Urbina, and Jon (Buster) Hyneman.The Duke Boys will be rockin’ and rollin’ on Main Stage in Central Park from 7:30 – 10:00 p.m. Click here to check out their Facebook page. Share your Tri-Fest photos on Facebook or Instagram using hashtag #HendersonKY and we might repost your photo!